The S-Class sedan is the flagship model of the Mercedes-Benz lineup and one of the most luxurious vehicles in the industry. 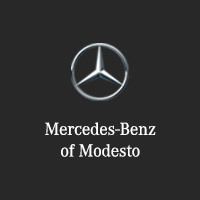 Get yours near Stockton and Merced at a surprisingly reasonable price when you choose a used Mercedes-Benz S-Class from Mercedes-Benz of Modesto. Having earned accolades like the Carwow stamp of approval, the S-Class leaves no room for doubters—so come check it out today! CARFAX 1-Owner, Mercedes-Benz Certified, Superb Condition, ONLY 34,137 Miles! WAS $69,991. Sunroof, Heated Leather Seats, NAV AND MORE! KEY FEATURES INCLUDE Navigation, Turbocharged, Premium Sound System, Satellite Radio, iPod/MP3 Input. MP3 Player, Child Safety Locks, Steering Wheel Controls, Heated Mirrors, Electronic Stability Control. OPTION PACKAGES DEEP SEA BLUE/SILK BEIGE, DESIGNO EXCLUSIVE NAPPA LEATHER UPHOLSTERY, PREMIUM 1 PACKAGE Power Rear Side Window Sunblinds, Active Multi-Contour Seats w/Massage, KEYLESS-GO, Control Code Premium 1 Package, Heated & Active Ventilated Front Seats, Hands-Free Access, PARKTRONIC w/Active Parking Assist, Front Heated Seats - PLUS, DRIVER ASSISTANCE PACKAGE Control Code Driver Assistance Package, PRE-SAFE Brake, CMS Lane, DISTRONIC PLUS, BAS PLUS w/Cross Traffic Assist, CMS Rear, DISTRONIC PLUS w/Steering Assist, PRE-SAFE PLUS, Active Lane Keeping Assist, Active Blind Spot Assist, WHEELS: 20 5-SPOKE Tires: 20, SURROUND VIEW CAMERA Control Code Surround View Camera. Mercedes-Benz S 550 with Iridium Silver Metallic exterior and Black interior features a 8 Cylinder Engine with 449 HP at 5250 RPM*. Serviced here, Non-Smoker vehicle, Originally bought here. EXPERTS ARE SAYING Edmunds.com's review says The 2015 Mercedes-Benz S-Class is a step above other elite full-size luxury sedans in terms of refinement, technology and luxury. It is truly one of the world's finest automobiles.. AFFORDABILITY Reduced from $69,991. PURCHASE WITH CONFIDENCE CARFAX 1-Owner Balance of New Car Warranty plus 1 year/unlimited miles extended Limited Warranty, 24-Hour Roadside Assistance, Carfax Vehicle History Report, NO Deductible, Rigorous Inspection by Factory Certified Technicians BUY FROM AN AWARD WINNING DEALER Mercedes-Benz of Modesto in Modesto Pricing analysis performed on 4/5/2019. Horsepower calculations based on trim engine configuration. Please confirm the accuracy of the included equipment by calling us prior to purchase.CARFAX 1-Owner, Mercedes-Benz Certified, Superb Condition, ONLY 34,137 Miles! WAS $69,991. Sunroof, Heated Leather Seats, NAV AND MORE! Navigation, Turbocharged, Premium Sound System, Satellite Radio, iPod/MP3 Input. MP3 Player, Child Safety Locks, Steering Wheel Controls, Heated Mirrors, Electronic Stability Control. DEEP SEA BLUE/SILK BEIGE, DESIGNO EXCLUSIVE NAPPA LEATHER UPHOLSTERY, PREMIUM 1 PACKAGE Power Rear Side Window Sunblinds, Active Multi-Contour Seats w/Massage, KEYLESS-GO, Control Code Premium 1 Package, Heated & Active Ventilated Front Seats, Hands-Free Access, PARKTRONIC w/Active Parking Assist, Front Heated Seats - PLUS, DRIVER ASSISTANCE PACKAGE Control Code Driver Assistance Package, PRE-SAFE Brake, CMS Lane, DISTRONIC PLUS, BAS PLUS w/Cross Traffic Assist, CMS Rear, DISTRONIC PLUS w/Steering Assist, PRE-SAFE PLUS, Active Lane Keeping Assist, Active Blind Spot Assist, WHEELS: 20 5-SPOKE Tires: 20, SURROUND VIEW CAMERA Control Code Surround View Camera. Mercedes-Benz S 550 with Iridium Silver Metallic exterior and Black interior features a 8 Cylinder Engine with 449 HP at 5250 RPM*. Serviced here, Non-Smoker vehicle, Originally bought here. Edmunds.com's review says The 2015 Mercedes-Benz S-Class is a step above other elite full-size luxury sedans in terms of refinement, technology and luxury. It is truly one of the world's finest automobiles..
And when you get yours from Mercedes-Benz of Modesto, you can count on our team to help you get a financing plan that suits your budget constraints. While you’re here, take the time to check out the 2018 S-Class, and don’t hesitate to get in touch with us before your visit if you have any questions!